See the key trends & market share for video marketing. 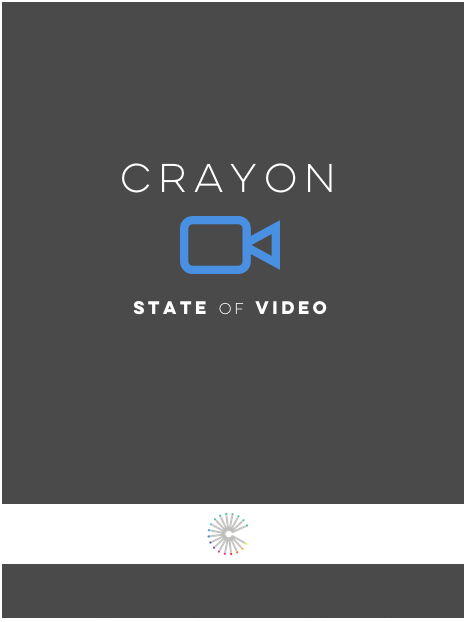 Crayon recently completed The State of Video report, measuring current adoption rates and usage trends of video on home pages. The study analyzed 50,000 of the top brands in marketing including Amazon, Squarespace, Pandora and more! Access the report by completing our quick form on the right to receive 50 pages of in-depth research, analysis and 45+ charts! Crayon is a market intelligence platform that helps businesses track, analyze, and act on everything happening outside their four walls. Track a company's complete digital footprint across 100+ types of market intelligence with Crayon products.